I am a technology Resource teacher for the district and was interested in using Ning as a coolaberation tool/device for a group of math students in our elementary schools to encourage engagement in topics not only with their class and teacher but other classes in our district and experts in the real world. I personally feel if i can get them to create a PLN it will stimulate learning for members of the group. I would love a copy of this book to help me better understand how Ning works so i can train the teachers properly and motivate them to use the resource. I teach Writing For Marketing Communications at Emerson College (Boston), and Writing For PR at Bentley University (Waltham, MA). Each semester, my students put together marcom plans for nonprofits as their final project. Social networking is still a fairly new component -- this could help move it along. I run www.comicslifestyle.com off the Ning platform and think it's a great tool for people who want an 'out of the box' social network. I have recommended it to a number of people and many of my friends on Comics Lifestyle and other ning groups have headed out to start their own gig! But are we using it to our full potential? If I get a book, I promise to use it for good - never for evil. Youth Service America partnered with Ning to put together a social site for Miley Cyrus fans interested in taking part in Global Youth Service Day - it's available at Miley.YSA.org right now; after GYSD we have some further plans to expand it to cover ongoing issues as well. Thanks for raising awareness of this new book. I'm a volunteer working with The Peace Alliance (www.thepeacealliance.org) to build social networks and engage civic activism toward a culture of peace. Also known as the "Department of Peace" community, we've been using Change.org, Facebook, and Twitter with modest success over the past few months. The Peace Alliance recently laid off most of their salaried staff, so support for the web site, for example, is being discontinued. The volunteer network is looking at Ning to help supplant the web site and provide an on-line home for the nationwide grassroots organization, which amounts to over 60,000 supporters and activists. The Groups feature of Ning looks promising, but we need to learn about all of the features in order to leverage what Ning has to offer and make our community as strong and effective as possible. We will measure success by a) number of participants we can engage from our various other sites, b) the level of activity of community participants - measured by blog posts/comments and response to actions/events, and c) our ability to link the community to other Ning and off-Ning communities. I'd greatly appreciate a copy of "Ning for Dummies" - I certainly fit into that category. Hi Beth, I'm helping Agri-ProFocus to set up various Ning communities for actors in 7 countries (Zambia, Ethiopia, Rwanda, Mocambique amongst others) who are promoting farmer enterpreneurship. We'll be succesfull if the online community has helped farmer organisations to be more effective in helping their members (farmers) be successful producers in various chains like cotton, dairy, honey etc. The goals of this site are to resource, network and catalyze interfaith youth leaders. Any feedback you have would be extremely helpful. I hear you'll be at NTEN this weekend? I would love to meet you. Love your blog. I've learned so much through reading it already-my colleague Kara Carrell referred me to this blog. Thanks for doing this giveaway, Beth!! It is the same Ignite presentation I will deliver this coming Tuesday @ NTC 2009 in San Francisco. I want to create a Ning network that connects youth and social entrepreneurs into a network that is part b2b, part linkdin, part meetup, part volunteer match... with a specific focus on social and youth enterprise in Baltimore. Participants could meet other youth and social entrepreneurs, find suppliers, schedule events, work on collaborative development projects, find volunteers and volunteer opportunities, and maintain blogs.Users would be encouraged to create discussions and forum topic that provided resources to all participants, in this way creating an entrepreneurial education program driven by its users. To outsiders the site would provide directory services of youth and community run businesses, and a review function like yelp that allows customers to comment and suggest businesses. I have it registered but am only playing with the interface at this point...I also have more ideas about what to do with it, as i learn new ning capabilities. The Basic idea is a community for a specific city that puts the social in social networking. To speak to the measurement of success on the Ning site we've created at IFYC, http://bridge-builders.ning.com, Amber has been great to report out the number of members we have, but also to give insight into the reasons why members join our site, translating the stickiness many of our trainings and speeches have for students who want to stay connected to IFYC and their Interfaith Leader peers. The site has also been successful for our organization internally, allowing us to answer the question, "how do i get involved" by guiding us to create smaller resources specifically for people who are starting to practice interfaith youth work on their campus or in their community. One of the goals I would like to see come out of a better understanding of Ning, is the ability to give more clear insight to the trends of our network using Google Analytics. Although we currently capture information using GA, having a more in-depth strategy for goal conversion would be great. Then we can have a higher vision of what features we should test out, and provide our network. Looking forward to seeing you, and Manny at NTC! Hello and I am amazed! When I went to write these three sentences, there were only three comments posted. Now, there are fourteen! I really need to get a grip on this new media, to me. I would like to create a Ning for the fosterKidFUNd to learn as I go into this new media world I have not yet been able to utilize. My goals are to reach the adults, fosterKids are dependent upon, the fosterKids themselves, and anyone else who is interested in aiding with the growing of these Kids aging out of the system, so the Kids do not become discouraged and disenfranchised before becoming successfully integrated into the working world. I will measure success by the number of fosterKids assisted in real time with their requests fulfilled through the assistance of the network I am creating for the fosterKidFUNd. Thank You for your consideration, and I am learning already! A few months ago I started a Ning site for the fund development and communications staff of our 57 member agencies to be able to communicate with each other. (I'm the new development director for the CA statewide network of child care resource & referral agencies.) It's been popular in concept but underutilized, in part I think because these folks are not used to working with each other. Now our research team and our child care provider training team would like to set up similar sites for the staff they work with at member agencies - and these groups are much more used to working with each other across the state. So we're thinking to set up one larger Ning system for all the staff with groups within the site for the different function areas, especially since so many local staff wear multiple hats. 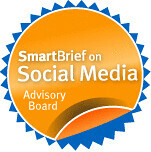 The main goal is to facilitate communication between meetings (w/o travel expenses, by offering the various features on one private social network for our member agencies to communicate with each other and the statewide staff: to share ideas, photos, videos, powerpoint slides, ask TA questions and get answers, and generally stay in touch more efficiently. I expect we will gauge success by measuring the number of local staff who participate and how often, some qualitative feedback on the usefulness of the site, and some TBD sense of the ROI of the project. Both the direct cost/benefit (including the time it takes to manage the site) and the degree to which this might help our members to become more familiar and comfortable with the ways that social media might be used for their agencies and the larger child care field. I'd like us to do a better job with the bigger version than my initial experimental version and that's why we could really use the book. Thank you Beth for doing this giveaway! I work for Smile Train, the world's leading cleft charity with hundreds of programs in 75+ of the world's poorest countries. Our mission is to help the more than 6.4 million children in developing countries who are suffering with unrepaired clefts. For as little as $250 and in as little as 45 minutes, we can provide cleft surgery that gives a child not just a new smile, but a new life. Since its beginning in 2000, Smile Train has provided more than 500,000 free surgeries for children who would otherwise never have received it. I am building up all of the social networks and follow your blog. I would love this book to help me create a ning account and measure successes. I work for Camfed (Campaign for Female Education) and we’re busy setting up an infrastructure of Twitter feeds from countries of operation in Africa. Our next step would be to embed these feeds into Ning and have live post from rural Africa streaming into relevant groups on our Ning account. Thanks and hope to chat with you at NTEN next week. I work for the American Rose Society, a non-profit organization that seeks to encourage understanding of and interest in all aspects of roses. Our membership currently is mostly in the 45+ age group, but we are working to encourage younger generations to get involved, and we hope social media will facilitate this. Currently, our only involvement in social media is our Facebook page, but we have seen steady growth in the number of fans. However, we don't see a lot of interaction on our Facebook page — fans mostly visit to see a preview of our magazine or look through our pictures. I think Ning would be a great fit for our organization, and I would like to use the book to help us set up our Ning site and use it efficiently and effectively. Our members really love to share pictures of their roses and gardens, and I think a Ning site would encourage discussion between our members and those interested in the hobby. It would also provide another more far-reaching way to connect new rose growers to more experienced rose growers to have their questions answered, which would further our mission. I would imagine our success could be measured by the number of people that become members of the ARS because of the Ning site and the number of people who are able to have questions answered through the site. Thank you for this opportunity, and thanks for introducing me to Ning, which I found out about through your blog in the first place! I am a high school English teacher, and I also work to enhance the use of technology in my school district. I have used two different Nings in my classroom this year. My students joined the first Ning in character from the play Romeo and Juliet. They contributed to the Ning as if they were the character and had great fun doing it. My 9th grade English class is currently contributing to a To Kill a Mockingbird Ning. I would like to learn more about creating and maintaining Nings. My school district has just started a program called T2I2 (Teacher for Technology Infused Instruction). I started a wiki page so that teachers could exchange and contribute ideas, but I think a Ning would work out better for our purposes. I would like to learn more about a Ning before I embark on setting one up for the staff at our school. On a teacher's budget, I am looking for all of the free advice I can acquire, and I would appreciate it if you considered me for one of the 4 books you are giving away. Thanks to Manny and you for creating awareness on the use of Social Networks for Non-Profits on this post as well as your web sites. We've been running a online youth community (www.VSLL.org, a volunteer supported youth sports recreation, instruction and safety organization) since 2002, running on a hosted platform supported by email communications and recently instituted Twitter messaging and Facebook Fan page. Still our member has been on the decline over the past several years despite the trend of younger, tech savvy, parents’ signing-up. Using a Ning social network to promote fund raising and increase active participation and education is a key to our growth and in effect survival as a community service organization. (1) Use Ning to improve our volunteer supported fund raising efforts: sponsorships donations, grants and annual membership dues. Help our promotion efforts, garnering much needed donations to subsidize our members’ ability to enroll their children at an affordable fee, and continue our current 51 years of local service. Help our local and national corporate donations and member annual fees efforts which comprise the bulk of our revenue with some government grants. These revenues in turn enable our operations, expenses include: field maintenance, equipment and league subsidized membership dues for economically impoverished. Funds for on going maintenance of newly constructed sports field complex which was constructed in 2008 with non-tax payer funds, solely through sponsors and member donations. A main portion of ongoing operations expenses now goes to the safe maintenance of our fields. Expenses also include safety devices such as field located defibrillator devices for which we sponsor regularly parent and player use instruction classes. (2) Use Ning to foster participation and awareness through like minded groups (instruction, car pooling, safety best practices, ..) with improved forums, media sharing (photos, video) and give our members blogging feature not available today. Increasing member participation. (3) Use Ning to add and foster participation with Family/member profiles – to promote active participation at individual, team, division, league and tournament levels including additional event promotion and viral activism. (4) Use new Ning to promote our year-round FREE (sponsored and membership enabled) events including in-season and out-of-season skills training and instruction for beginners, intermediate and advanced members. As volunteers at VSLL.org we are committed to help and educate our local children to become better citizens, and we do this while still with raising families, holding jobs, caring for elders all in these tough economic times. Great tools such as Ning will help VSLL.org continue to provide high levels of community service to our local children. Thanks for the opportunity! My goal is to great a Non profit site helping people overcome diabetes through the wide range of vegan diets available. I have been struggling with how to integrate what looks like the better blogging on Typepad and the social networking on Ning and didn't know where to turn, as I could not find a good Ning for Dummies book and I am so glad one is now available. I have created some content on a ning sight already, but it is not currently viewable. I've been so upset to learn that people are reducing or eliminating their medication because they have lost health insurance in the economic downturn, and by the man in San Jose, California recently who left the house without checking his blood sugar and drove into two people and killed them. Or even people who can't put food on the table while working two jobs to be able to test their children's blood sugar levels. But people can become cured of diabetes in a short period of time. There are a wide range of medical doctors out there with proven vegan diet programs ranging from "just about all you want as long as its vegan" to raw food. My goal is to create a "how to be vegan for diabetics" that helps them to find the right approach for them within that spectrum, and how to do it healthfully. People going vegan can be off of their insulin within a few days or weeks, and can even become cured in a few weeks (for aggressive programs) or a few months, or just reverse it and cure it over time if they don't want to make too many changes. My goal is to provide education so that they can take the right path and find appropriate help, so if they try a vegan approach that is too big of a change in their diet (raw food) or too slow, they will know there are other options and how to find them. I'd plan to make money with purchases of books and ebooks, as well as conduct interviews with many experts across the field of vegan diabetics and healthy vegan living, and use money to pay for needy families to have sufficient consultations with the vegan health care practitioners working with diabetes so they can succeed in becoming diabetes-free. I have been vegan for about 11 years and used it to control stage IV endometriosis, lyme disease, chronic fatigue, adrenal fatigue and pre-diabetes. We receive hundreds of emails from prostate cancer patients and their families looking for answers. We are setting up a Ning site so that they can find each other online and share their experiences. Ning gives us the tools to not only get up quickly but to be able to listen and then quickly adapt to the community's needs. I would love this book - I have worked with one non-profit and I am very interested in helping more non-profits along with possibly starting my own - still trying to figure out the logistics on that one. This would be a great resource as although I set the last non-profit I was working with up on Ning, there is plenty I still need to learn. I would love to have this book. I'm the marketing director for a theater company -- we use Ning already as a network for our subscribers, but I'd love to do more with it. We have it, it's there: but I want to know what MORE we can do with Ning to make it really, you know, Ning!